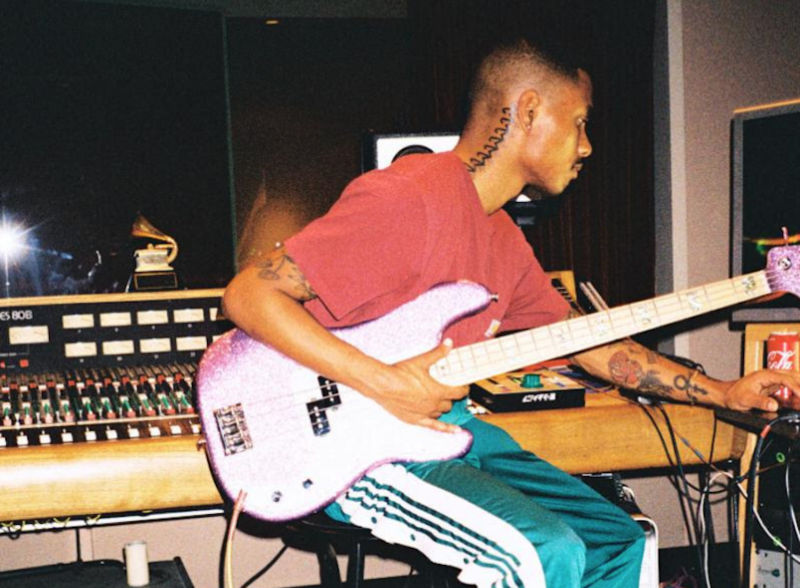 Just like that, Steve Lacy is back with new music. The Internet member released a new single called “N Side”, and longtime fans will be pleased to know it’s worth the wait. “N Side” picks up right where Lacy’s most recent solo release, Steve Lacy’s Demo, left off in 2017. A slow, automated drum part carries the R&B beat forward with padded bass echoing behind it. Lacy turns up the reverb and lets his laid back singing float over it all, bringing some gentle strumming of electric guitar into the mix. The song comes with a “karaoke version” video. Learn the lyrics and try to sing along to Lacy’s soulful falsettos by watching the video below. The release of “N Side” also means there is a good chance Lacy has a new album on the way. Fans will recall that The Internet recently teased new music, tweeting, “2 solo albums finished  .” The band’s most recent album was last year’s excellent Hive Mind. Solo work aside, Lacy has been on a creative high as of late. Over the past few years, he contributed to new albums from Solange, Tyler, the Creator, Kali Uchis, and more. It seems he can’t do wrong.